How Does SBRT Cyberknife Compare to Traditional Radiotherapy? Cyberknife is a form of targeted radiation therapy known as SBRT. SBRT, or stereotactic body radiation therapy, was adapted from central nervous system stereotactic radiosurgery, a treatment technique that has been used to treat tumors of the brain and central nervous system for over 30 years. The only real difference is that SBRT is used to treat tumors throughout the rest of the body instead of specifically in the brain. How does SBRT compare to traditional radiation therapy? 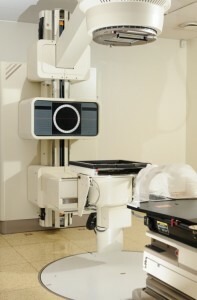 SBRT delivers radiation directly to the cancerous tissue, sparing the healthy tissue around it. As a result, it can be administered in fewer sessions, with fewer side effects, and with higher success rates. If your doctor has recommended Cyberknife to treat your cancer, you may be wondering, “What is Cyberknife?” After all, it’s only recently that Cyberknife and other SBRT treatments have become popular for the treatment of tumors outside of the brain. Cyberknife delivers a highly targeted dose of radiation that kills cancerous tissue as effectively as surgery. So if you’re not a candidate for surgery, you may be a candidate for Cyberknife SBRT. Because it delivers radiation directly to the cancerous tumor while minimizing radiation exposure to healthy tissue, SBRT uses a much stronger dose of radiation than traditional radiotherapy. Traditional radiation therapy delivers two to seven beams of radiation, while SBRT delivers over 100 beams of radiation from a much higher number of angles. That means SBRT is much more powerful. With conventional radiotherapy, it’s not possible to aim the radiation beams directly at the cancerous tissue — that’s why so much less radiation is used, to minimize the damage to healthy tissue. Because SBRT allows doctors to administer a much more potent dose of radiation, far fewer sessions are necessary. 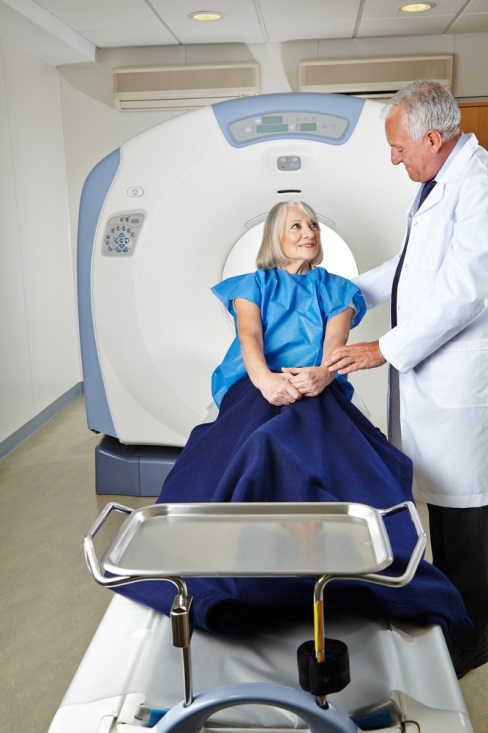 Traditional radiotherapy requires daily sessions for several weeks. SBRT requires only one to five sessions. Because it’s able to target diseased tissue, Cyberknife SBRT is much more accurate than traditional radiation therapy. SBRT can deliver radiation to a margin of one to five millimeters surrounding a tumor. Conventional radiotherapy has a radiation delivery margin of 20 to 30 millimeters. This much wider margin means that conventional radiotherapy is more likely to cause healthy tissue damage and side effects like radiation pneumonia. With SBRT, the most common side effect is mild fatigue following treatment. Not all tumors can be surgically removed. That’s why SBRT has long been used to treat tumors of the brain and central nervous system — these tumors are more difficult for surgeons to reach. Even when surgery is an option, it requires the removal of a margin of healthy tissue around the cancerous tissue. SBRT is just as effective as surgery for removing cancerous tissue from the body, but eliminates the need to remove healthy tissue. When compared to conventional radiation therapy, SBRT is much more effective. Traditional radiotherapy is effective about 50 percent of the time. SBRT, on the other hand, is effective at controlling cancer more than 90 percent of the time. If you’re not a good candidate for cancer surgery or simply want a less invasive treatment option, consider Cyberknife SBRT. With SBRT, doctors can administer potent, targeted radiation therapy that kills your cancer without harming the rest of your body. Find out what SBRT can do for you.